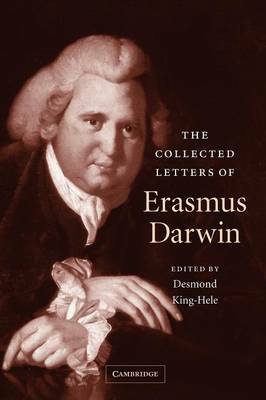 Erasmus Darwin has often been cited as the most widely talented man of the past 250 years. He excelled in medicine and poetry, was an inventor and wide ranging man of science, and founded several societies. This 2006 collection of 460 of his letters provides an insight into the life of this amazing man. Darwin was famous throughout Britain as a physician; his medical letters to patients and private letters to his physician son Robert are a rich source for historians of medicine. His lively letters to the 'Lunar Men', Boulton, Watt, Keir and Wedgwood, provide insight into the Industrial Revolution in England. In the 1790s Darwin propounded the idea of biological evolution, although it was his grandson Charles who persuaded people to take it seriously. This unique collection reveals the variety of Erasmus Darwin's talents, and his wide range of important friendships.